It probably sounds weird, but PC Andy and Suzie Costello were two of my favourite Torchwood characters. PC Andy appeared in the very first episode, as Gwen’s voice of normalcy, and recurred periodically in that role throughout the programme. I was always happy to see him pop up, as a cheerful but naïve presence contrasting against the darkness of Torchwood itself. (I do have to say, I thought giving him a crush on Gwen in Adrift was a bit of a disappointing cliché, but I’m pretty sure it was forgotten after that episode.) I was especially pleased to see that he even made the transition to Hollywood, appearing in several episodes of Torchwood: Miracle Day. And even though she only appeared in two episodes (and died in the first of them! ), I have been really fascinated by Suzie Costello, erstwhile member of the Torchwood Three team — They Keep Killing Suzie is one of the best episodes of Torchwood by my reckoning. So the one-two punch of Ghost Mission by James Goss, starring Andy Davidson, and Moving Target by Guy Adams, starring Suzie Costello, was exactly what I wanted out of Big Finish’s Torchwood audio dramas. Ghost Mission builds on the previous series’ More Than This, where Andy kept bumping into Gwen as she worked on resurrecting Torchwood, which indicated that he wanted to join the new group. In Ghost Mission, he finally gets the call, as he’s assessed for suitability by Norton Folgate, a Torchwood member from the 1950s projected into the future. This story is a delight, alternating — as the best of Big Finish’s Torchwood tales have — between the hilarious and the dark, the grounded and the cosmic. Goss portrays Andy as a good guy and a great cop who’s maybe a little awkward around other people, but is maybe not exactly suited for Torchwood duty for reasons that don’t reflect poorly on him at all. Tom Price is as excellent as always, making Andy the kind of guy you like right away. Samuel Barnett delights as Norton, ribbing Andy the whole time with him complete lack of seriousness, but still obviously a real human being. It’s fundamentally a two-hander, but unlike in some Big Finish Torchwoods, not contrivedly so. Moving Target takes us backward to the days before Gwen Cooper and Everything Changes, when Torchwood Three was Captain Jack, Suzie, Owen, and Tosh. (I think. Maybe Ianto too? Torchwood Three membership chronology is not my forte.) Suzie wakes up one day to realise that everyone in the world is frozen in time: everyone except her, a random woman, a sarcastic robot, and the aliens hunting them. It’s a bit like that Sarah Jane Adventures episode where Clyde and Rani make out (admittedly only in my headcanon) while being chased by robots, but with more alcohol and violence. It’s great to hear Indira Varma back in the role after ten whole years out of it, and Adams really captures Suzie’s character, as a woman who wants to do the right thing, but not always for the right reasons, and who cannot cope with the darkness that working for Torchwood has exposed her to — almost an anti-Gwen. Naomi McDonald is good as everywoman Alex, though there are times her voice sounds a little too like Varma’s, leading to confusion. The character convinces as an ordinary person with her own inner demons let loose. And Nicholas Burns is suitably hilarious as the officious robot always making fun of Suzie. The story and character writing are strong; the only thing I didn’t like was a drunk scene that felt like a somewhat contrived way to get some inner character dynamics into the open. 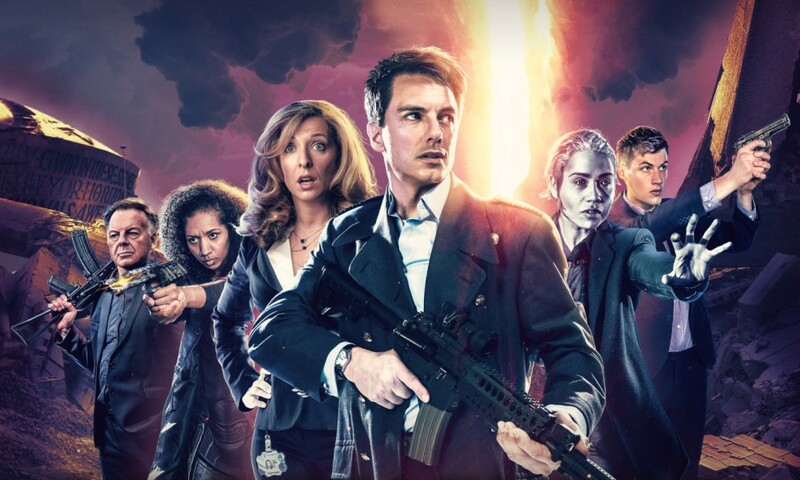 The Torchwood universe is a rich one, and Big Finish has been mining that for all it’s worth. 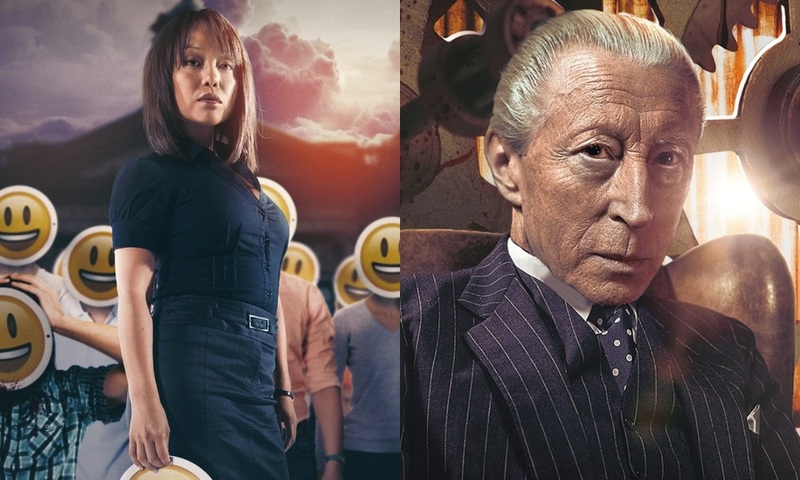 I was never a huge fan of the premise on television, but Big Finish is continuing to grab onto its best concepts and characters and make them even better. 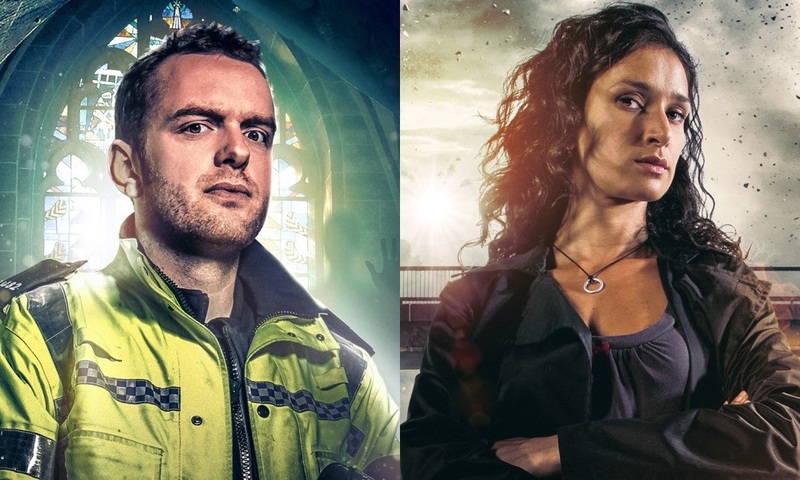 Ghost Mission (by James Goss; starring Tom Price) and Moving Target (by Guy Adams; starring Indira Varma) were released by Big Finish Productions in May and June 2016 respectively.